HYDERABAD: A recent study by Saffolalife has found that 58 per cent of Hyderabad residents faces risk of heart disease due to belly fat. Incidentally, only 14 per cent of those at risk considers belly fat as a top reason for heart disease. The study also highlights the factors common to those with belly fat and the resultant impact on their heart health. 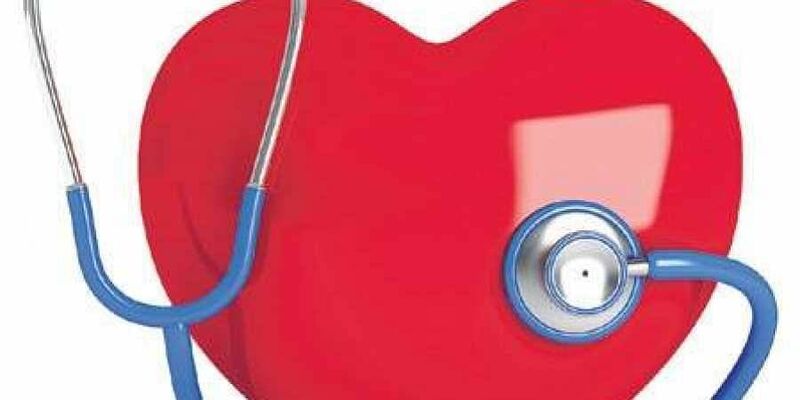 With growing lifestyle challenges, Indians are now at risk of heart diseases at a much younger age. Some of the major reasons are long working hours, job stress, irregular meals, sleep deprivation and sedentary routine. This is leading to an increase in lifestyle diseases such as cardiovascular problems, obesity and diabetes. While BMI is the most-researched measure of generalised obesity, the distribution of fat or central obesity, commonly called belly fat, is a far more important factor for cardiovascular risk. When it comes to belly fat, there is a lack of awareness among people as they address it only for cosmetic reasons and not because it is detrimental to heart health. So to create greater awareness regarding this issue, Saffolalife Study 2018 addresses the “Impact of Belly Fat on Heart Health”. One of the key takeaways from this survey is that one may be at heart risk even if they have a lean body but have a paunch. Saffolalife and Nielsen conducted a pan India survey among those who have belly fat to understand the extent of heart risk. This study covered 837 respondents across key cities of Delhi, Mumbai, Lucknow and Hyderabad. Some of the facts from the study revolve around age, gender and lifestyle implications on heart health due to belly fat. Gender wise, 63 per cent men and 52 per cent women in Hyderabad with belly fat are at risk of heart disease. The report also states that among people who are at heart disease risk due to belly fat, 51 per cent people skip meals and 70 per cent consume food outside of their homes at least once a week. Outside food (69%), irregular exercise (63%) and long working hours (69%) were cited as key reasons for belly fat among respondents. Heart risk due to belly fat is higher (64%) among working professionals in Hyderabad who work long hours compared to heart risk of all working professionals (61%). 45 years who have belly fat are at risk of contracting heart disease. In Hyderabad, 63% men and 52% women with belly fat are at risk. 7 out of 10 people in Hyderabad who are at heart risk due to belly fat have food out of home at least once a week. 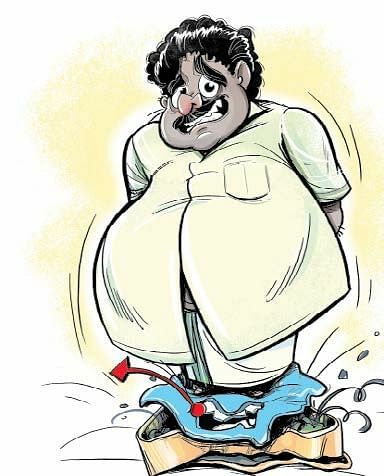 63% people with belly fat in Hyderabad do not exercise regularly.